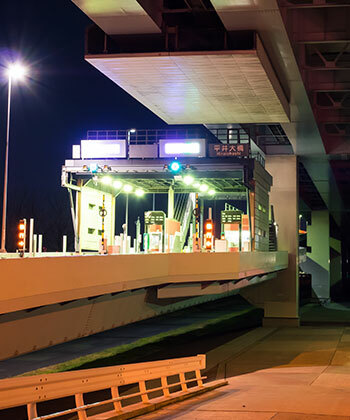 ToP-BOS is the premier automated back office solution for Intelligent Toll Road Management Systems. More than just a software application, ToP-BOS offers a scalable, flexible, and robust integration of customer relationship management (CRM) and enterprise resource planning (ERP), delivering the most complete business management solution for today's toll collections market. ToP-BOS offers customizable features that are extendable and designed for easy access to information. ToP-BOS is an end-to-end enterprise solution that encompasses every component of information management and flow. ToP-BOS features modular design and construction based on high-volume transaction processing. ToP-BOS operates on role-based access and includes transaction reconciliation, financial settlement, disaster recovery, and much more. ToP-BOS combines proprietary messaging techniques with a unique system audit process to monitor uncharacteristic transaction anomalies. The exclusive ToP-BOS design removes legacy system choke points with unmatched low latency. ToP-BOS cuts costs by integrating key service functions (ERP, CRM, ETL, etc.) to reduce the need for multiple devices and servers. ToP-BOS automatically locates lost revenue, supports multi-agency revenue sharing, reduces equipment downtime, and much more. TollPlus has consistently demonstrated superior technical and functional solutions expertise and has followed superior state of the art project management and release management principles. We are extremely pleased with the system and the Bank would be happy to recommend TollPlus for any new ETC projects.